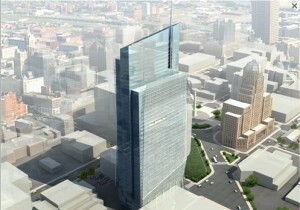 Buffalo City Tower was an approved 40-story, mixed-use, tower aiming to be the tallest in downtown Buffalo. It was to be developed by British property development company BSC Group, headed up by entrepreneur Bashar Issa. Details included: retail focused on the corner of S. Elmwood and Mohawk Street, 20 floors of office space at 24,400 GSF/floor, 10 floors of hotel totaling 300 rooms each at 380 – 500 sq ft., and 10 floors of 80 condos each at 965 – 1,500 sq ft (140 m). Parking was to be accommodated in three underground and six above ground levels with a total of between 800 and 1150 spaces depending if stacking is used. The project was canceled due to Issa's financial troubles in Manchester and Buffalo. Issa also purchased the Statler Hotel, located across the street, and aimed to invest $100 million in renovating that building to return it to its former glory. The building was placed into involuntary bankruptcy in 2009 and sold at auction to private investors. 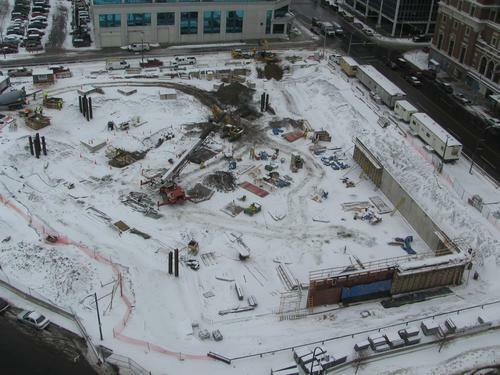 British developer Bashar Issa sold the downtown Buffalo parcel where he proposed to erect the city's tallest building.